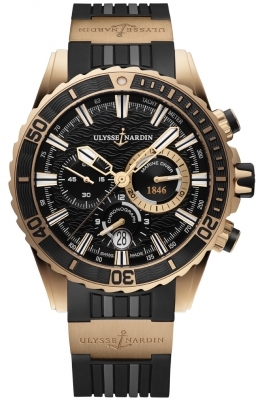 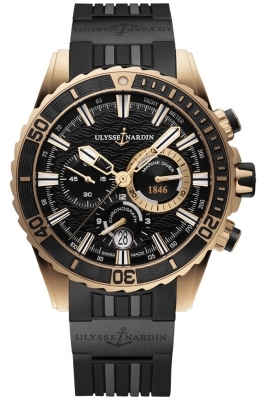 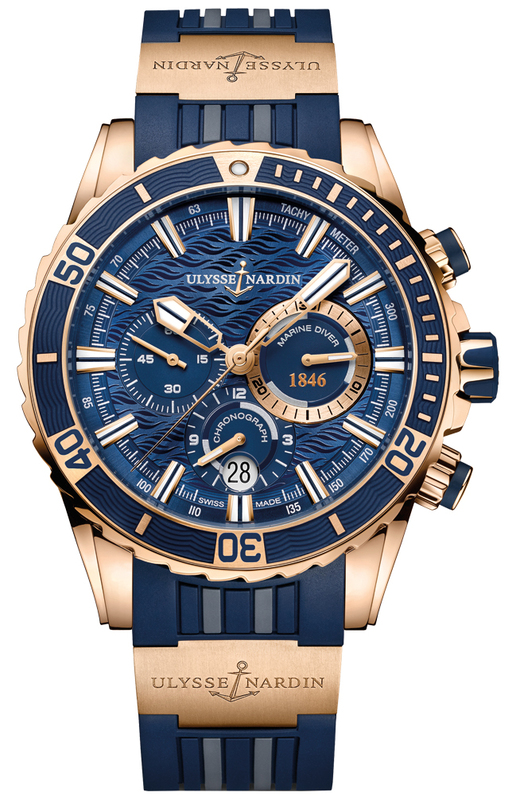 Blue rubber strap with grey stripes & solid 18kt rose gold elements engraved with the Ulysse Nardin logo. 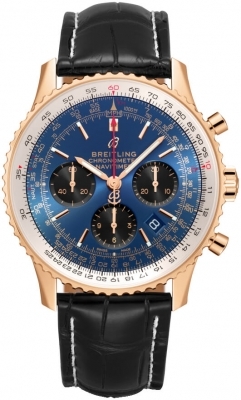 Raised rose gold 10 minutes indicators with blue filled engraved numbers. 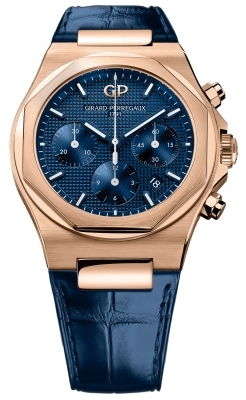 Blue dial with hammerhead shark motif. Applied bold hour markers with rose gold edges, luminescent fill & a blue stripe in the center, designed for enhanced visibility. 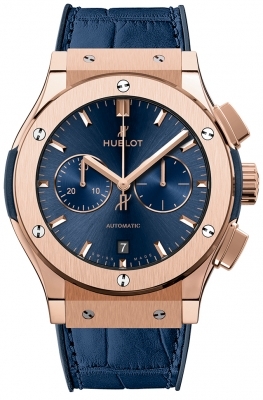 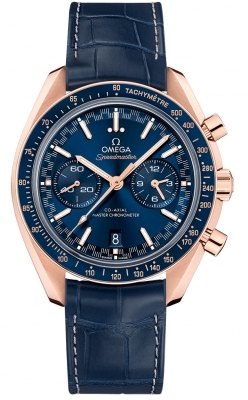 Partially skeletonized rose gold hour & minute hands with bold luminescent filled tips & a blue stripe at the center.